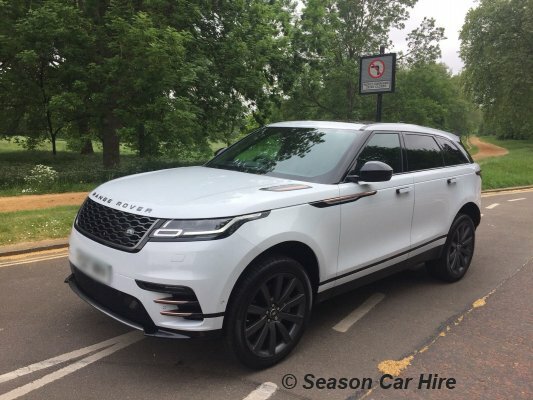 Season Car Hire offer the Range Rover Velar Hire in London, The latest model Range Rover is the mid-sized more nimble version making it more convenient for London city driving. 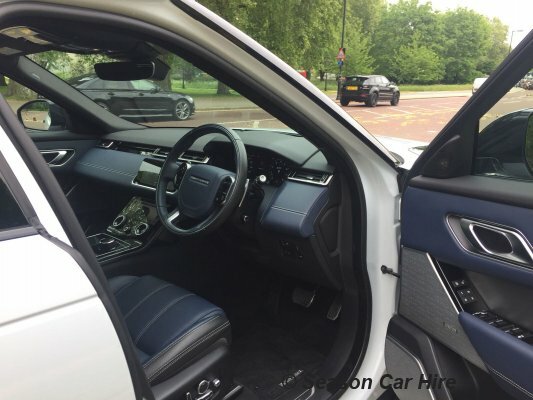 The Velar Comes with satellite navigation and leather seats as standard. 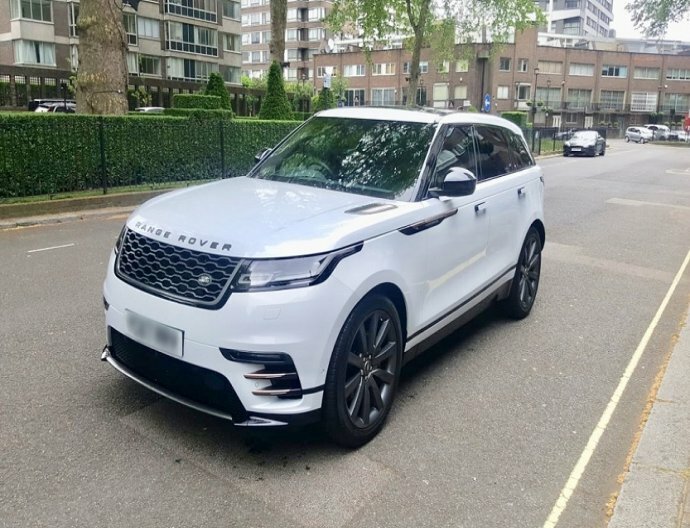 Additionally you can make benefit of dual-screen infotainment system, 18-inch alloy wheels, automatic headlights, rain-sensing wipers, DAB digital radio, Bluetooth connectivity, heated front seats, cruise control and rear parking sensors. 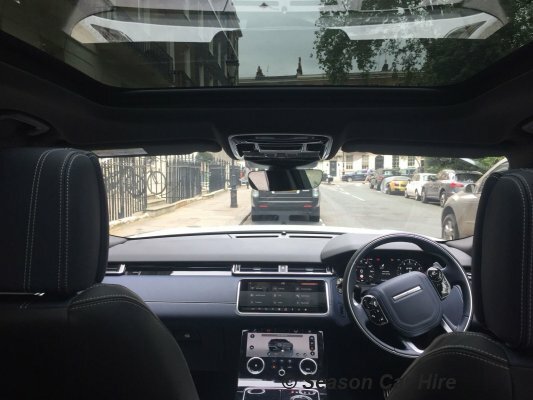 All the benefits of the latest Range Rover with the latest technology. 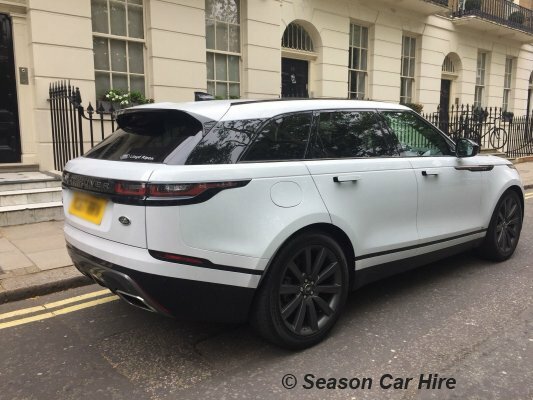 This particular Model is quite a powerful vehicle consisting of a 3.0 litre (R version) Petrol engine coupled with an automatic speed gearbox to cruise around the countryside. 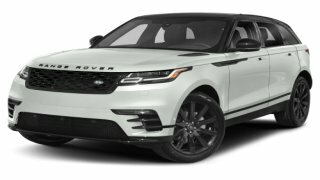 Range Rover has created a name for themselves from their brilliant off-road capability, the Velar is no different. 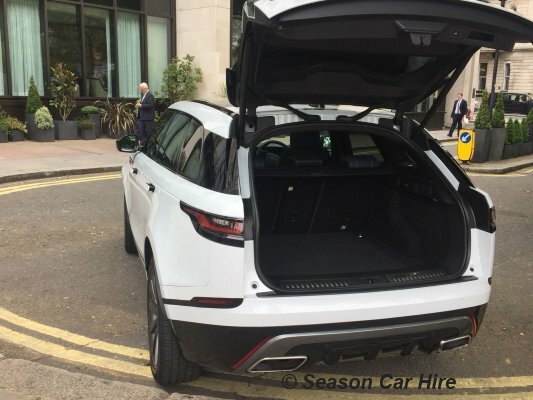 No need to worry about fuel economy either, the Range Rover Velar is exceptional for a 3.0 litre Petrol; with official consumption figures of up to 49.6 MPG. 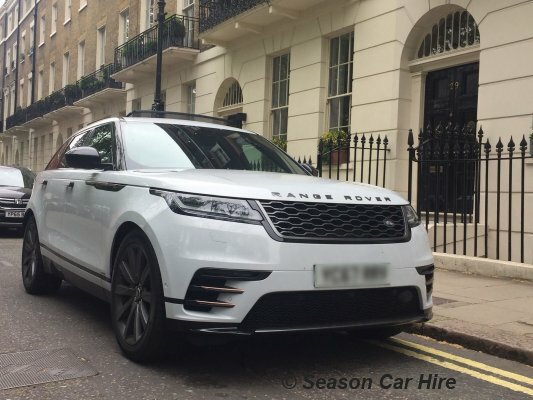 What is needed to rent a Range Rover Velar?